A common question I get when I am helping customers pick paint for their contracted painting job with O’Connor’s Painting Service is, “which sheen should I choose?” Understanding paint sheen or “shininess” is the key to making your selection. 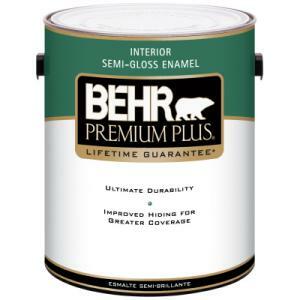 Let me try to give you a description of the levels of paint sheen for the Behr Premium Plus line of paint that can be found at Home Depot. I have gathered the following information to help guide our O’Connor’s Painting Service customers. This paint has 0% shininess or sheen. It is NOT washable but is an excellent choice for touch up. Touch up means if you scuff the walls although it will not wash off, you can re-paint that area of the wall and the paint will blend. This paint has a 3% sheen level. This paint IS washable but to touch up you have to paint wall-to-wall. That means you can not just paint a small area or spot if the mark or scuff on the wall did not wash out. To cover seamlessly you m ust paint the complete wall. This paint has a 10% sheen level. This paint IS washable but just like the above interior flat paint description, you have to paint wall-to-wall if your marks on the wall do not wash out. This paint has a 25% sheen level. This paint IS washable but again, if the marks can not be removed you will have to paint wall-to-wall instead of just being able to touch up a spot. This paint has a 35% sheen level. This paint IS washable but again, if the marks can not be removed you will have to paint wall-to-wall instead of just being able to touch up a spot. This paint has a 50% sheen level. This paint IS washable but if marks can not be removed through wiping you will again have to paint wall-to-wall to eliminate the the mark without any noticeable lines. As you would expect, this paint has a 100% sheen level. This paint IS washable. If a really stubborn mark will not wash off, again you will need to repaint the entire wall-to-wall area for the area to look seamless to the existing paint. In conclusion, the higher the sheen or shininess, the more the imperfections on your walls such as spackle areas or where drywall meets drywall will be visible.